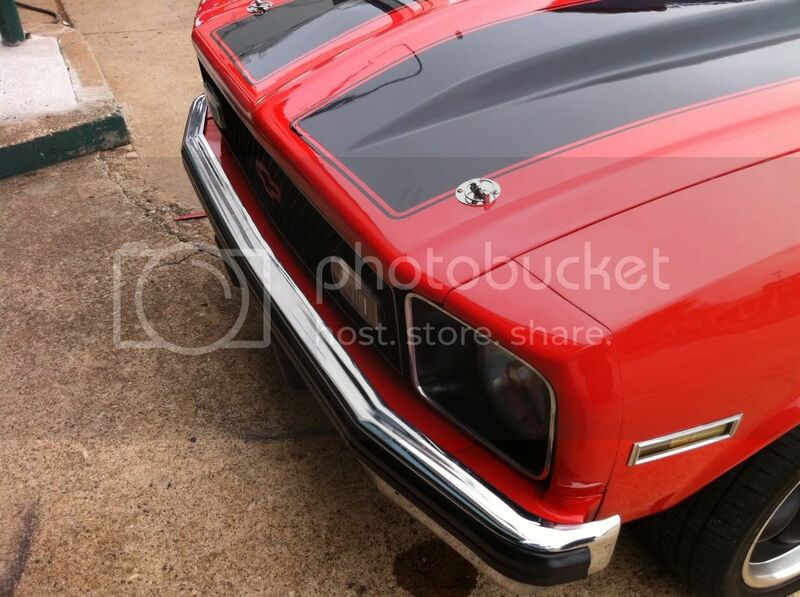 Steve's Nova Site is an automotive enthusiast website dedicated to the 1962 - 1979 Chevrolet Nova, Chevy II and Acadian automobiles. We work together to preserve, restore, drive, show, race and provide fellowship for these classic cars. This is one of the best places to find information about parts, rebuilding, restoration and racing. This website is not affiliated with GM, General Motors or Chevrolet in any capacity. StevesNovaSite.com is the premier Chevrolet Nova Forum on the internet. Registered Users do not see the above ads. Well there was a Post awhile back about How to Tuck the a Bumper on a 4th Gen so I figured I would give it a go and post up the Results and also maybe help Someone else along the way. It's really easy. took me about 45 Mins and Basic Tools. 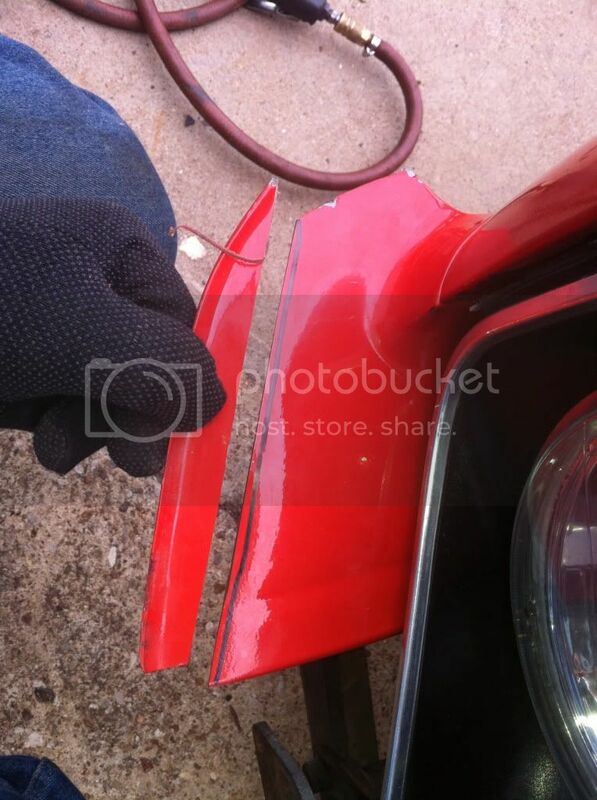 To start off I Pulled the Bumper off. there are 8 11/16th Nuts on the inside. be careful taking the last on off as the bumper could fall on you and it's Very Heavy. I would Recommend having someone there to hold it on. Sit the Bumper aside ad get Yous drill out. I used a 1/8th inch Drill bit for this. I drilled the Hole on the Lip of where the Shock is Mounted to the Frame, That way I could run a Screw into the Hole when I was done to hold it in Place. Here is a Picture to help you get a Better idea, if you do drill the Hole there you will have to go Through Two Layer of Metal. There should be a Puff of Air when you get all the way Through. Note: The Picture was Taken after I Compressed the Shock. 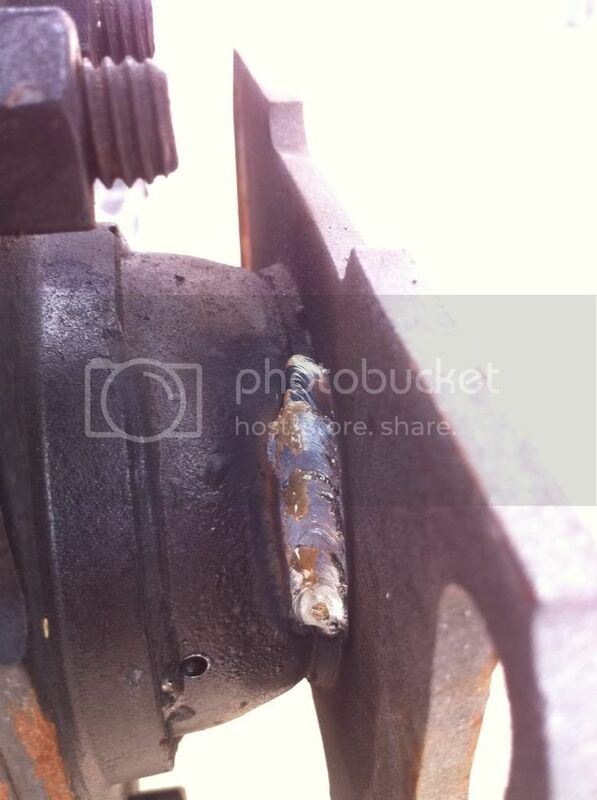 Then I Welded the Shocks in place. Note: You don't have to weld it. You Could just use a Screw if it's Easier for You. To still be able to use the Bumper filler panels I had to Slightly Trim Them. Then you just have to Reinstall the Bumper and Your Done! Hope this Helps out Someone that is looking for a Easy way to Tuck there Bumper. Sometime if I can find a Extra Bumper I'm going to look into cutting up the Bracing inside the Bumper to Lighten it up. If i had to guess Right now it's sitting at every bit of 60 Ibs and I bet I could knock about half that off. Last edited by lil Scriv; 12th-November-2010 at 05:36 PM. Did you have to trim the center filler too? How far in did it move? No I didn't have to Trim the center Filler at all. Just the outers. The Bumper moved in 2 1/4 inchs. I just pushed the Shocks all the way in. Also I need to add if I had a Stock a Hood I don't think I could use the Hood latch. Because the bumper is now almost Touching the Latch handle. It looks real good moved in. The bracing on the back is over kill. 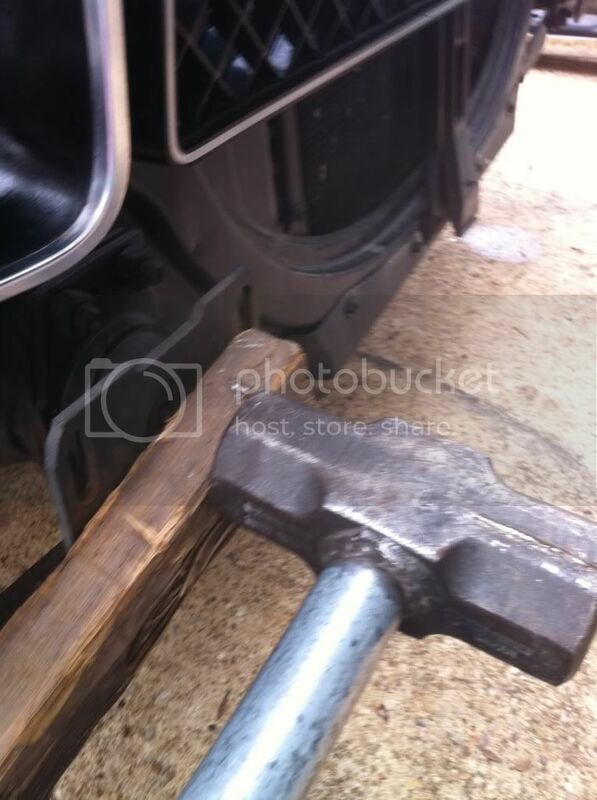 Most of that chunk of steel behind the bumper can be removed just leaving enough to mount the mount bumper. I weighed the complete assembly with the shocks and it is 80 lbs. Wow! 80 Pounds. I knew it was Heavy but Dang! And Like I said I bet at least Half of that is is The Bracing inside it. 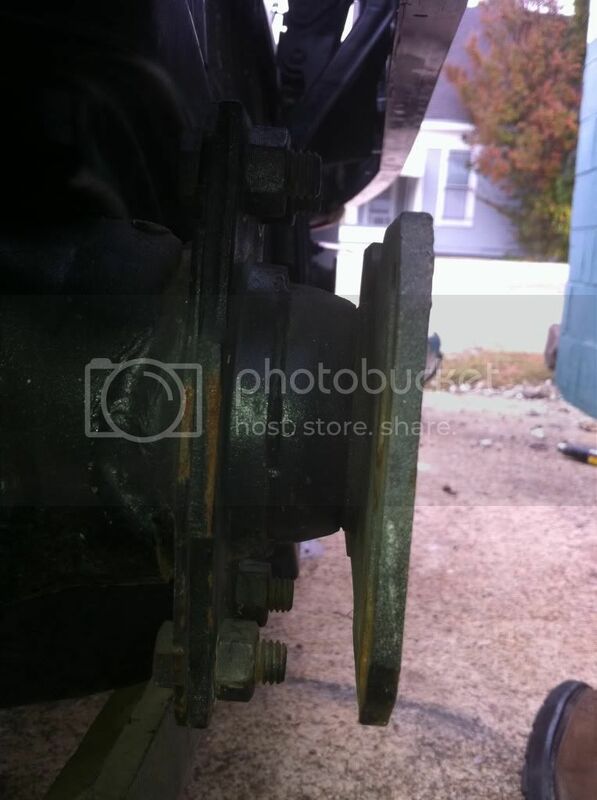 I want to remove A lot of the Bracing and I'm worried about taking to much off and then not having a Bumper. that's why I'm going to wait till I have a Extra. Remember there is one in the back that weighs the same . I have been wanting to move my front one in, but the back I am going to leave as is. 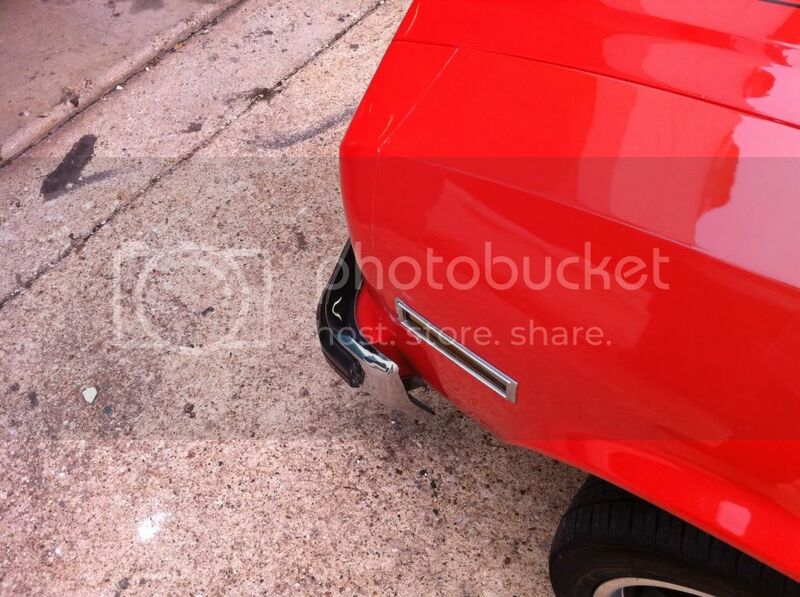 Same here on Not Tucking Back, I don't think I could make the Filler Panels look good. But if I cut out the Bracing on the Front I'm going to do the Back as well. Double the Weight Saving. Cool, I wanted to try it, but now am worried I wont be able to pop my hood. Might not be an issue. The latch can be reconfigured to work. I have at least one extra laying around and planned on looking into possible mods on that one. Like I said above you can use Screws too. It's just that I had a welder handy so I figured I would make good use of it. Yeah that Sway bar is Heavy. I just Finished Painting it and it's sitting in My room waiting for the Morning to be put on the Car. Too bad we just cold front in suppose to get down to like 40 Tonight I would think there would be a good way to work around the Hood latch. It's just I figured I would put that up there so nobody would have a Nasty Surprise when they Finished tucking the Bumper on there own Car. It's just I figured I would put that up there so nobody would have a Nasty Surprise when they Finished tucking the Bumper on there own Car. im glad you did cause that could have been me. thanks!! good job by the way. did you drill the side or the top of the shock? maybe you could bend back the hood latch? Great thread! Bruce, do you have a close-up of the bumper filler panel and the hood latch mechanism you've created? I like the look of how the bumper filler panel blends upward into the grille. 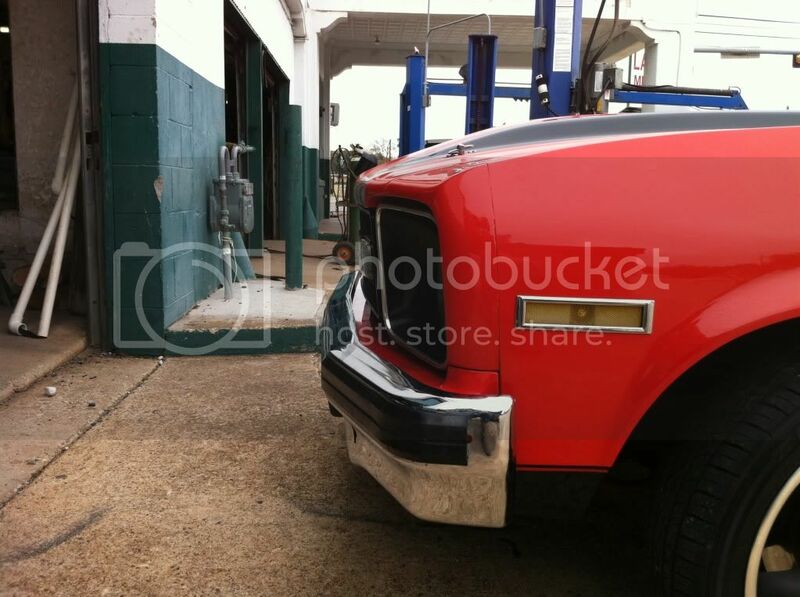 But if the bumper gets tucked then the curved portion of the panel will be hidden behind the grille. The only solution that comes to mind is to section the panel from side to side and make it smaller, but it's small to begin with. Site best viewed set to 1024 x 768.